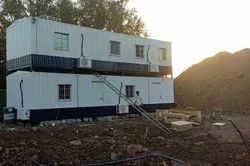 Leading Manufacturer of portable building cabin and multi story portable site office cabin from Navi Mumbai. We are the leading manufacturers & suppliers of Portable Building Cabin. 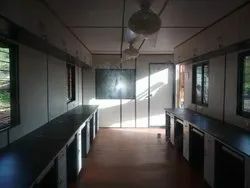 Portable Building cabins are use for site for site offices at emergency basis. IMPERIAL CABINS are known to be noteworthy manufacturers, trader, and supplier of Multi-Story Portable Site Office Cabins. These cabins are available to our clients at the market leading prices. We are backed by state-of-the-art infrastructure. Our manufacturing unit is well equipped with fully Automatic Machines that are supported by updated technology.Now we are providing all kinds of amenities in Multy storey Site Office Cabin.